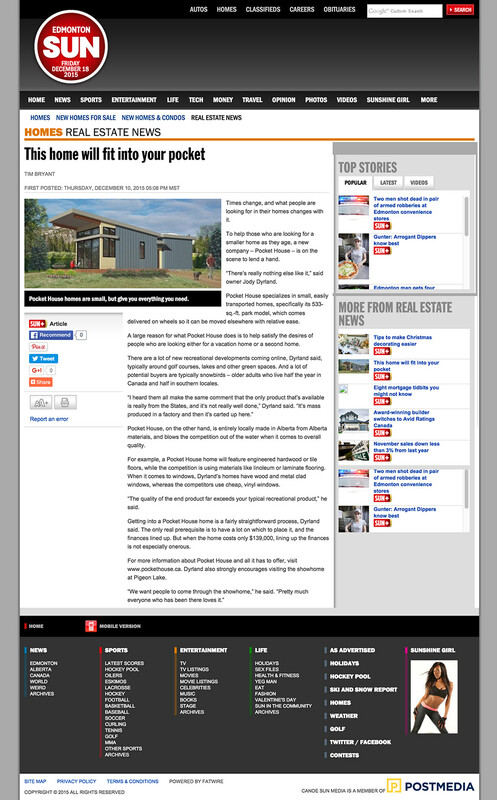 Alberta made Pocket House Featured in the Edmonton Sun. For more information about Pocket House and all it has to offer, visit www.pockethouse.ca. Dyrland also strongly encourages visiting the showhome at Pigeon Lake.